The Aesthetic Minx keeping abreast of the latest art-world iniquities. From the pen of Le Guidio, as always. 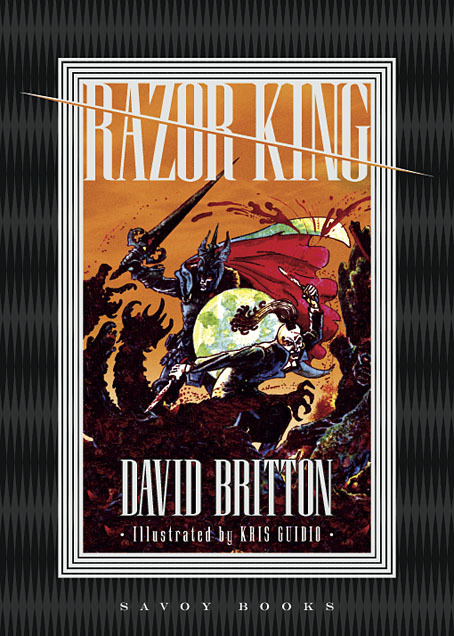 David Britton's new Lord Horror novel Razor King is finished and will be published in Spring 2017. 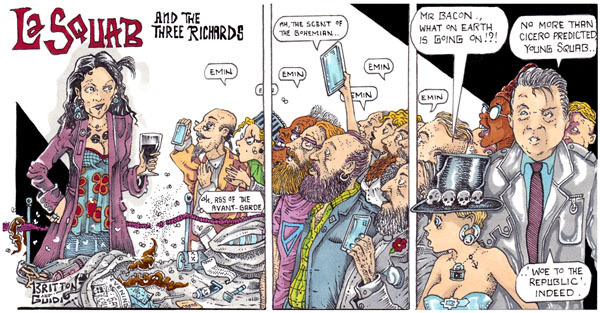 For the new book Kris Guidio has supplied sixty-four pages of full colour illustrations in which he pays tribute to two of Savoy's favourite artists, James Cawthorn and Ken Reid. Michael Butterworth edits the dense horror; John Coulthart designs. These twenty-five chapters of otherworldly deviance set in the two-gun Wild West of Auschwitozaliala bring the Lord Horror series of novels to its unnatural end. Contracts have been signed with major Russian company AST Publishing for The Lord Horror Trilogy. This will be an omnibus edition of the first three novels: Lord Horror, Motherfuckers: The Auschwitz of Oz and Baptised in the Blood of Millions. Max Nemstov, translator of JD Salinger and Thomas Pynchon, has been given the task of converting these wayward books into Russian. Tentatively scheduled for publication in the summer of next year, The Lord Horror Trilogy constitutes the first major publication of the novels outside the UK. 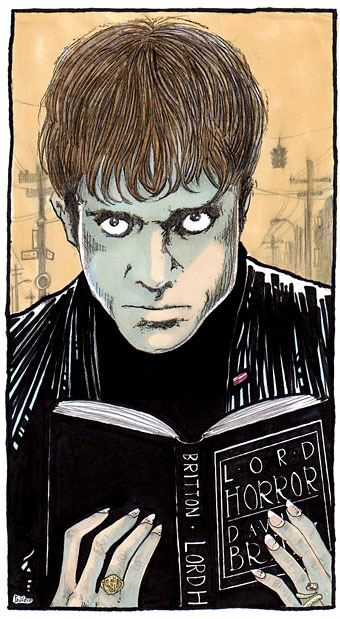 In July, Savoy commissioned recent Manchester Metropolitan University Masters' graduate Jonathan Barlow to undertake a critical overview of the Lord Horror canon. Tentatively titled By Gas Mask and Fire Hydrant: The Novels of David Britton, Barlow's book is planned to contain previously unseen photographs and other visual material. A new addition to the Savoy family, Jonathan was first encountered by Savoy at The Science Fiction 'New Wave' at Fifty Conference at the East Anglia University in May 2014. 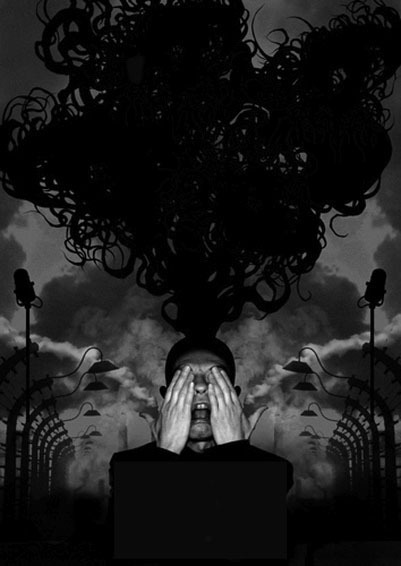 His paper 'Fractured Narratives and Mutable Characters in Lord Horror: Reverbstorm' was reprised in expanded form for the debut screening of Gareth Jackson's film Lord Horror: The Dark and Silver Age at the Anthony Burgess Foundation in August 2014. Film performance and accompanying talks were part of the Butterworth Exhibition, curated by The Exhibition Centre for the Life and Use of Books. Barlow's thesis, Rock'n'Roll and Auschwitz Spell Lord Horror: Challenging Holocaust Piety in the Novel of David Britton, was completed in 2016. 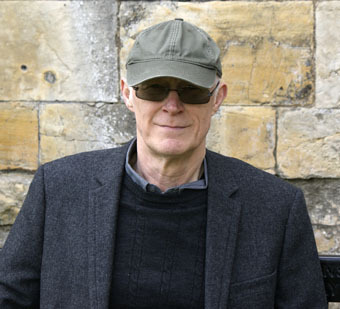 His article 'New Wave Swords & Sorcery: Jerry Cornelius and Lord Horror' will appear in Foundation: The International Review of Science Fiction. We were impressed. The obvious candidate to do a new book on Our Man Horror. We are still at work on our Fenella Fielding recordings. Those yet to be released include selected extracts from Michael Moorcock's An Alien Heat, a reading of 'Love' (the opening chapter to Michael's book on Mervyn Peake), an incisive reading from JG Ballard's Crash as well as tracks left over from the album Fenella Fielding: The Savoy Sessions. Several sought-after titles from the Savoy back catalogue (such as Zenith and Engelbrecht) are planned for electronic publication in the near future. 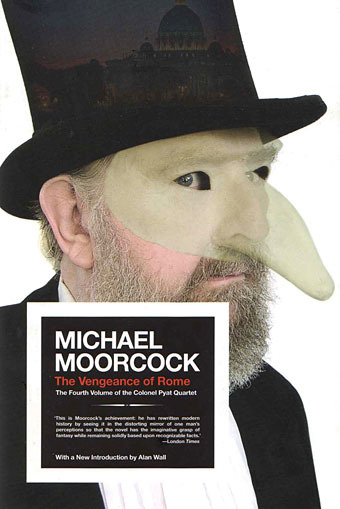 No date has yet been set, but the new line is also scheduled to include a long out-of-print Michael Moorcock title, to be announced. Posh Teckel Bar, Neukölln, Berlin, on Saturday 5th November 2016 at 8pm. The reading will be followed by questions and answers, and a book signing where copies of the book may be purchased. The evening will continue with music by DJ Frank Blümel. If you are in Berlin come along for a great night, and say hello to Mike. More information about the Diaries can be found in the publication announcement below. Day-by-day, minute-by-minute, this is a uniquely personal account of the making of Power, Corruption & Lies, New Order's acclaimed second album, and 'Blue Monday', the classic electro anthem that it spawned. Created by Michael Butterworth, who was there at the invitation of the band to witness it all firsthand. 'Blue Monday' became the fastest selling 12" single ever and the pressing of the vinyl in 1983 – in the shadow of Ian Curtis' tragic passing – marked a thrilling new phase in the career of the band, and the history of music in general. Three decades on, author Michael Butterworth – the trusted friend who gained access to a string of notoriously private sessions at London's Britannia Row Studios – breaks the silence to reveal exactly what went into the recording of this timeless track. Committed to creating an authentic record of the band's arduous creative process, without the aid of a tape recorder, Butterworth worked alongside his friends for the duration. From beneath a perpetual fug of dope smoke, speed and alcohol, within the confines of the band's minuscule rented flat, he acted as New Order's designated scribe, censoring not a single detail in their 24-hour schedule. Obsessively detailed, mundane and illicit by turns, The Blue Monday Diaries provide a uniquely intimate insight into the personalities of the band – as well as the process of making music – that no Joy Division or New Order fan should be without. A MAN who attempted to murder his friend — repeatedly smashing him in the face with a claw hammer before punching him and throttling him — has been jailed. A court heard the reason why David Mitchell launched the ferocious attack is likely to remain a mystery — the defendant himself is unable to offer an explanation. The victim only managed to escape with his life after he stuck his thumbs in the attacker's eyes and fought him off. 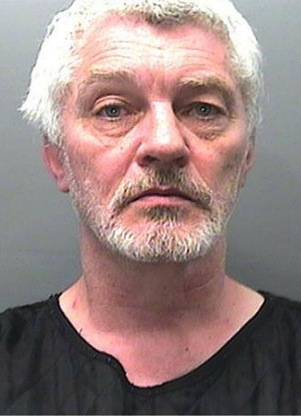 John Hipkin, for the prosecution, told Swansea Crown Court that 56-year-old Mitchell and the victim had worked together for five years before losing contact when the victim went to university. They got in touch again in the summer of 2015 through social media and, in September they met-up in a pub in Neath. They later when back to Mitchel's house in Melyn where they drank whisky together and talked. Mr Hipkin said that during the evening "there was not a cross word between them" — then out of the blue Mitchell attacked his friend, kicking him in the face and disorientating him before repeatedly hitting him with the hammer. 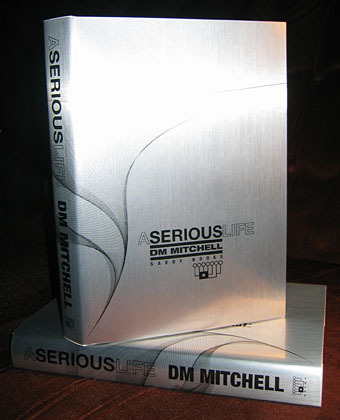 His victim slumped to the floor from the chair he was sitting on and Mitchell then sat astride him, punching him in the face before grabbing his throat and squeezing. The court heard that when the victim tried to call for help, Mitchell "giggled" at him before telling him "Stay still — it will be quicker for both of us". The victim finally managed to free himself and lay on the floor for a couple of hours — it is thought Mitchell had fallen asleep — before feeling it was safe enough to flee the house and ask a passer-by for help. Mr Hipkin said that a detective and a paramedic who saw the victim in the aftermath of the attack said he had suffered the worst injuries either had seen in the course of their duties. The court heard that among the injuries suffered by the victim was a fracture to the cricoid cartilage — the ring of cartilage that surrounds the windpipe — something which experienced Morriston A&E consultant Mike McCabe had never seen before. Mitchell, of Briton Ferry Road, Melyn, Neath, had previously pleaded guilty to attempted murder when he appeared in the dock today for sentencing. The court heard the former carer for vulnerable adults was unable to explain why he had launched the attack on someone he regarded as a friend. The incident has left the victim — who works as an IT consultant — with facial scars and a degree of palsy on the right side of the face, damage to a hand, and vertigo. He has not yet felt able to return to work. Judge Paul Thomas QC said Mitchell's victim must have been petrified during the attack, which he described as "unprovoked, ferocious and sustained". The judge said he had seen photographs of the injuries the defendant had inflicted, and "they can only be described as stomach-churning". He said he was satisfied the defendant had not provided a motive for the attack not because he was trying to hide something but because he genuinely didn't known. The judge added: "Why it happened will, I suspect, remain a mystery". His Honour sentenced Mitchell to 10 years in prison. Strangely, no mention is made in the report of Dave's work as respected author, editor and publisher of longstanding of such media luminaries as Alan Moore, Grant Morrison, James Williamson, JG Ballard, Ramsey Campbell, Colin Wilson, HP Lovecraft and others, in his various imprints Oneiros Books, the internet magazine Paraphilia Magazine he co-founded and the titles he packaged for James Havoc's Creation Books press. Dave's enduring admiration for HP Lovecraft was best extolled in his publication for Creation Books, The Starry Wisdom. Oh David, why did you do it? Not a Savoy book, but a grand boon companion. 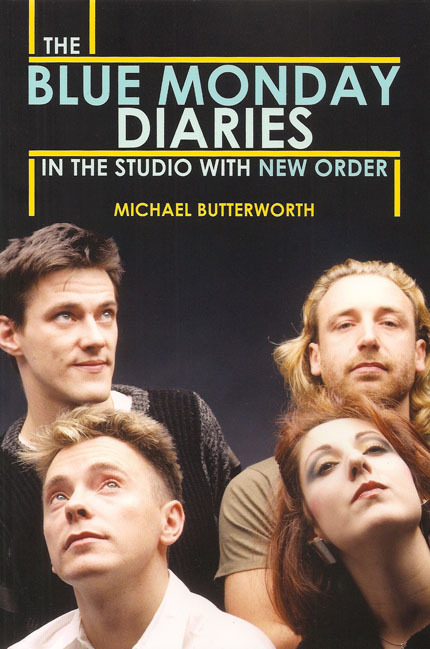 Inside this record of Michael's days with New Order in the Britannia Row studios during the time they cut 'Blue Monday' runs the parallel story of Savoy's days in central Manchester at the same time as Factory Records. The early Factory Records and Savoy Books cross-pollinated one another. Michael's book sets the record straight, at one point mentioning to his readers, "Factory has gone, but Savoy is still here." In a day-by-day, minute-by-minute diary, Michael—who was there at the invitation of the band and their manager Rob Gretton—documents the making of New Order's second studio album and the 12-inch single it spawned. Savoy were present at a packed Haçienda 31 years ago, a nightclub which, for all its status as a local legend, seldom witnessed sights as wild and ecstatic as this. Lux Interior, Poison Ivy and Nick Knox were touring the UK for the second time that year, and were consequently at the peak of their considerable powers. A natural and charismatic showman, Lux made the seething crowd an extension of a performance that pushed itself to the edge of outright mania: stripped to the waist, cajoling, back-talking, and stage-diving repeatedly. At the climax he disappeared into the melée to surface at the foot of a pillar where a blue light blazed: while the band thundered away behind him Lux bellowed that he could see Jesus Christ. Given the intensity of the evening, he probably could. Ivy has always been one of the world's great rock'n'roll guitarists, and was on exceptional form that night, flame-haired and scowling. 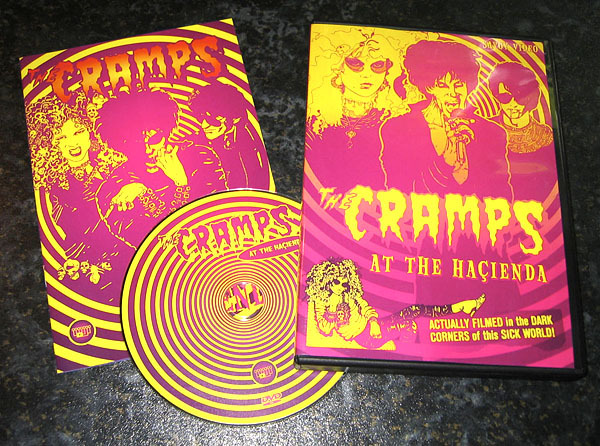 Nick Knox's locomotive rhythms pulsed with a voodoo reverberation through the crowd; easy to see why Ringo Starr once declared The Cramps to be his favourite band. The band is no more but records such as this remain, and this was a night to treasure and be astonished by: the last great rock'n'roll outfit in all their incandescent fury. Without the efforts of Linda Dutton this performance might have been lost when the Haçienda video crew showed no interest in taping the event. Linda commandeered a camera and began filming. Order using PayPal below or see the Orders page for other options. • Please select your shipping territory from the menu below before ordering. In 2006 Savoy and Excalibur Films arranged the first full-length filmed interview with Savoy artist Kris Guidio. Kris is seen in conversation with the actress Kath Godfrey in the artistic splendour of his Liverpool lair, part of an ongoing series of short videos recording the people and places of Savoy. Who wouldn't love to live in an apartment that looks like this? And from 1992, another Savoy video made in conjunction with Excalibur Films. This records a reading at The Conservatory, St. Giles High Street, London, that was part of a tour undertaken by Michael Moorcock to promote his Colonal Pyat books. The video is also the only filmed record of character actor the late Freddie Earlle in his role as the splenetic, self-aggrandising and delusional Pyat, a unique interpretation of the character. Michael joins Freddie as authorial foil. Peter Ackroyd and Andrea Dworkin are seated in the audience; Michael's agent at the time, Giles Gordon, may be seen standing at the bar. 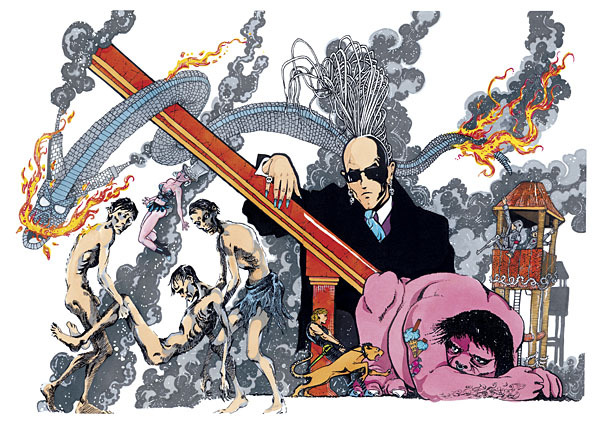 "With Kim Fowley's death it's all executives. Or is that executors?" The original Hollywood trashman Kim Fowley died of 'cancer' ("funniest sound I've ever heard") on Jan 15th, 2015 at the age of seventy-five. Over recent years his Ichabod Crane cancer/polio emaciation only added to his image of King Weird. His extraordinary life was lived to his own rules. We admired not only his tenacity but the unique knowledge he gained first hand by travelling all the most fascinating byways of rock'n'roll. Kim Fowley was the man in the know we went to for sleeve notes when finishing our Fenella Fielding Savoy Sessions CD. We felt certain he'd get the connections, the uniqueness, the spin of the unconventional, and the crazy warpedness of the project. We approached him in 2010; he replied back immediately. He'd heard of Savoy and was pleased to be asked. He set about producing what he said would be 'award winning' liner notes for us—and in any other universe they would have been! Over the next few years a fascinating correspondence developed. He talked about relocating to Manchester, and could we put him up in Dave's spare room? The chance to talk with such a raconteur first hand was beguiling. Unfortunately, before any real action could be taken, Kim's cancer flared and the visit was put on hold till happier days. Goodbye Kim, it was nice knowing you. We'll meet up again very soon in Rock Valhalla. With your friend PJ Proby, who you called the best rock'n'roll performer you'd ever seen; with your time in Frank Zappa's Mothers of Invention and your 'Help, I'm a rock' vocal; and with your booking Eddie Cochran's last show in America, and calling him the "first real punk rock singer", you'll always be the man to stand with and revere. Papa-Oom-Mow-Mow. 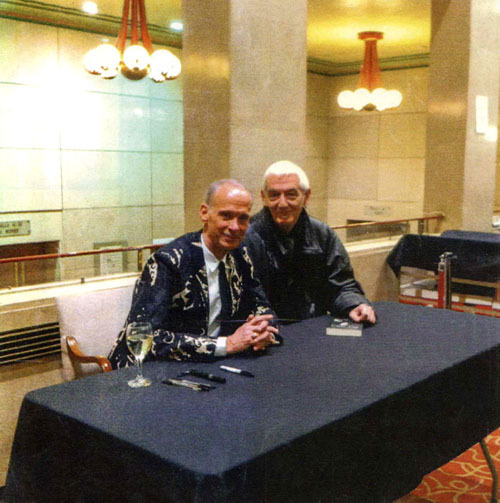 Some essential reading at UglyThings Magazine: 'Kim Fowley: Sins & Secrets of the Silver Sixties', the definitive interview from 2001.